Amazing! I've seen Eric a few times in concert and he rarely smiles. Very little verbal rapport with the audience, some cursory introductions of band members and that is about it. Slightly better than Dylan or Van Morrison though. Maybe he prefers the intamacy of the small venue and is more relaxed.Also, in Guildford he was a guest, so less pressure. Actually that was in Paris last Tuesday where he was fronting his band (and what a band, Bramhall, East, Stainton, Carrack and Emory !) but yes he seemed to be in great spirits, all smiles but not much talking apart from "Thank you very much" or "Merci beaucoup" and quick introductions of the band members (seemingly at random) that were not really intelligible. So that's 2 gigs already this year plus the promotional work for his new film. Eric Clapton's Hyde Park show is apparently sold out now, is there likely to be additional tickets go on sale from AXS as it gets closer to the date? Great set-list and playing. Will see him in Hyde Park in July. There are two recordings of the Greenwich show up on DIME! Wow, Hyde Park show looks good, almost like Clapton's Crossroads guitarfests of yore. Edited 1 time(s). Last edit at 2018-06-01 22:40 by angee. One is mine. It was a great show. I Shot The Sherrif into White Room was amazing, so was Got To Get Better in A Little While and The Core. Crossroads with Derek and Susan was fun. There are new vids with better sound coming around. OT: Anyone Seen Clapton at Hyde Park? Gotta say I'm a little surprised Steve Winwood didn't join him for at least a couple of numbers, especially considering that Hyde Park looms large in their shared history as members of Blind Faith, and that the two of them toured together extensively in 2009, 2010 and 2011, and that Steve was there yesterday, playing on the very same bill. I actually considered making the trip across the pond for what I thought might well be the final appearance of Blind Faith's three surviving members. Can't really say I'm surprised that Ginger wasn't asked to play, but I would have been extremely disappointed if I'd made the trip and Steve didn't even get called up onstage for a song or two. Edited 1 time(s). Last edit at 2018-07-10 04:01 by tatters. Re: OT: Anyone Seen Clapton at Hyde Park? Yeah that seems pretty shocking to me as well. A Clapton/Winwood jam session is always welcomed but unnecessary for this event. Ginger Baker is in no condition to play as Blind Faith or with anyone else. He's 78, underwent open heart surgery two years ago, suffered a fall, and now also has got very painful degenerative osteoarthritis. Additionally, I think he resides in the US, not England. A nice bluesy set with popular ones ( tears from heaven , acoustic Leila , crossroads ) and old blues ( key to the highway etc ) A bit disengaged I tought. Shortish set . small jam with CS . Winwood really good I thought. Well, last I heard he was living in Kent, England. Eric has certainly helped him out financial wise in recent years. I think Ginger still odes the occasional gig but yes, his osteoarthritis is pretty severe. Agreed. Might have been a welcome situation, but can't say I'd be disappointed in any way that it didn't happen. Winwood and his band always put on a great show, as for Clapton not so sure anymore. Evidently Carlos Santana joined Clapton on stage which might seem odd as he's also jammed with Winwood quite a few times in the past, and the results were usually always great. Edited 1 time(s). Last edit at 2018-07-10 18:55 by Hairball. Clapton has jammed with Santana a great deal from 1975 onwards. Right, I was unclear sorry, and thought that sentence was a bit clunky/confusing after I posted it. To clarify, the fact that Carlos jammed with Clapton is not odd, but I thought it might seem odd that he also didn't jam with Winwood (or vice versa) as they've done so together many times in the past. Just as it seemed odd/disappointing for some that Winwood didn't jam with Clapton. In a perfect world maybe they would have all jammed together? Our good friend Daspyknows who gave us the great recording of the Prague concert last week has taped several of the Hyde Park shows, he will release them on his Facebook page when he gets back home! Happy Xmas includes one original, “For Love on Christmas Day.” (See the complete track listing below.) The album also features a cover art illustration by Clapton himself. Pre-order is available in the U.S. here and the U.K. here. Clapton co-produced the album with longtime music producer Simon Climie. Though he’s said he’s no longer going to be touring, Clapton hasn’t eliminated live performances. He’s done six shows this year, although only three were truly accessible to the public, including his headlining concert in London on July 8 as part of the British Summer Time series in Hyde Park. The only dates currently on his public schedule are two October appearances at New York’s Madison Square Garden. I think he resides in the US, not England. It is true that Baker was residing in Colorado in the mid-to-late 90's, before moving to, and building a ranch in Cape Town, South Africa. After bankruptcy, he moved back to the UK and England. A small cottage on the outskirts of Canterbury, Kent, to be precise. 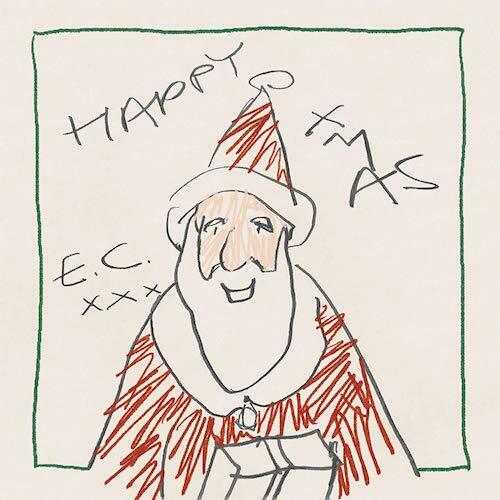 Hope the Stones wont get as pathetic as Clapton, to do a Christmas album. That will do me in. I think a Jeff Beck instrumental Xmas album would've been a better option. Hooray for a Christmas album! Hope its better than Dylan's Christmas album. For die hard fans only. Actually it might be his greatest selling album in decades, and might even be as big as the Burl Ives or Bing Crosby Christmas albums of yesteryear. Diehards, casual fans, and even young rock fans who don't know much about Clapton - even non rock fans...they might all latch on to it gathering round the Christmas tree in the holiday spirit! Burl and Bing...they don't make singers like that anymore! Now I must reappraise George Harrison's Ding Dong.